On 11 January 2019, a large group of people gathered at South Oxfordshire Crematorium to celebrate the life of William Dunckley (1929-2018), a man described in the ceremony as ‘one of the great figures of the Thames’. Indeed, few people could rival his experience and knowledge of the river, as someone whose service on the waterway spanned eight decades. This short article is a tribute to a true gentleman, who not only played a crucial role in keeping the famous Salters’ steamers running, but was also an absolutely invaluable source of information for me, during my doctoral research. I don’t remember when I first met Bill, but after getting a summer job at Salters’ in 1998, it was his younger brother, Bryan, who I initially had the most interaction with. He had been assigned to the steamer Goring (that operated between Oxford and Abingdon), after the previous skipper had been injured. This was a considerable change for me (the purser on board), as it was only a two-man crew. He not only drove faster (without appearing to do so), which resulted in more free time for the both of us, but he also encouraged my interest in history in a number of ways. One was by answering my many questions about the river and allowing me to give short commentaries to the passengers about the sights that we passed, and another was by regaling me with seemingly endless tales about his earlier life in the ‘Salters’ navy’. It was abundantly clear that not only had Bryan absolutely loved his time on the river, but there was also a lot of very interesting social history connected with the firm that had not been formally recorded. Things were not always plain sailing though, as there were times during the season when a boat would break down and, each time that occurred, a tall and friendly elderly man would appear, as if from nowhere, to save the day. That individual was an engineer by the name of Bill Dunckley, who always knew how to fix the problem. The staff reliably informed me that he knew everything there was to know about the craft, as he had even been there when the craft had been converted from steam to diesel after the Second World War. It was only much later, after moving to the office and deciding to attempt to do a historical study from the firm’s huge untapped archive that I would discover just how useful he would be to me personally in filling in many of the gaps in my knowledge. After all, this was an employee who had faithfully served the same firm for almost half of its 150 years of existence. Bill was unsure when he started working for the firm, but it was either in the summer of 1943 or 1944, at the tail end of the Second World War. His father, Ernest, had urged him to work on the railways, rather than wasting of time on what he considered to be a ‘dead-end boating job’. Nevertheless, he ignored the advice, partly because his two uncles, Bob and Basil, already worked for the firm and they had helped him gain a taste for the river in his school holidays. One of his earliest recollections was the sheer number of people queuing for boat trips at Folly Bridge in Oxford, as the river had become a major outlet for leisure during the latter stages of the conflict. 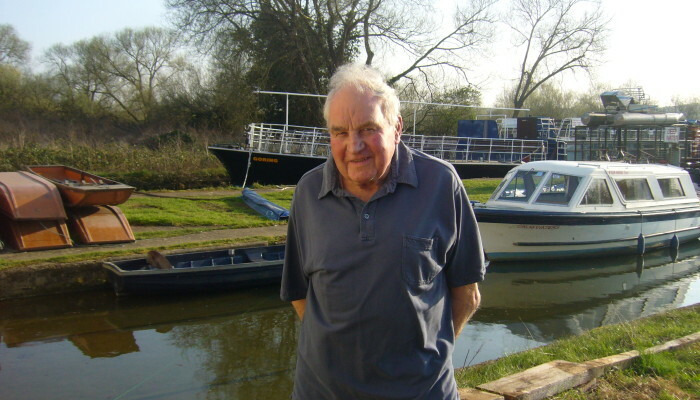 He even recalled that in order to cope with the extra demand two relief boats were sometimes sent down to Abingdon to carry all the additional passengers. He also remembered some of the craft that the firm built for the war effort, including landing craft that were tested at Nuneham Courtenay and sea-going steam pinnaces that were built with a deeper draft than was suitable for some of the shallower parts of the Thames. Indeed, he spent his winters learning the trade in a number of different yards at the firm, initially serving in the steam shop, which was responsible for dismantling, cleaning and storing the boat engines over the winter. 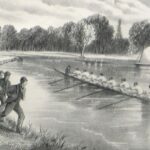 He also remembered the firm maintaining and looking after the boats of many of their clients – some of which were built by Salters’ – from the vast Oxford University College Barges to narrow racing craft that the various local crews used. The job, he recalled, was not hard, but it could be very dirty work. Furthermore, it was the summers that he and many of his colleagues really looked forward to, as this when many of them took to the water on as part of the so-called ‘Salters’ navy’. At the time, the business had one of the largest fleets of passenger boats on the river, and its craft enjoyed a monopoly over the long-distance trip between Oxford and Kingston, a service that had been started in 1888. His first job was as a mate on the Streatley, travelling between Oxford and Henley with an overnight stop in Wallingford. 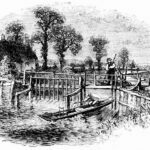 He was taught the ways of the river by the skipper Albert Andrews, a member of another notable Thames family that provided a number of employees for Salters’. Although the job was extremely enjoyable, Bill recalled that one universal complaint was that the wages were very low. He remembered one occasion when the skippers at Windsor even petitioning the management for a small increase and they signed it in a circle, in order to avoid anyone being seen as the ring-leader! Yet although the wages were certainly low, the crews were fed at the main stopping points and they were able to sleep on board. In the 1960s Salters’ even produced its own brand of crisps and ice cream, some of which was aimed at the large numbers of school children who travelled on the boats. As well as benefitting from free board and lodging, they were also able to attract a considerable amount in tips. Although not strictly allowed, the passing of the captain’s hat was a popular way of encouraging donations. These gratuities were supposed to be shared around the crew evenly, although he remembered that there were suspicions about one skipper, because when it came to distributing the booty, there were only ever copper coins to be shared. These were confirmed when one crew member put in a silver coin, only to discover that it had disappeared by the time the money was given out! He also recalled that ticket inspectors had to be brought in at one point, because of concerns about pursers skimming money from the takings. Other entrepreneurial activities included one crew member selling his own sandwiches on board, and another offering a range of vegetables! He himself got in on the act too, by helping carry luggage for customers up to their hotels. The crews worked long hours on the boats and would sometimes be required to move a craft overnight, if it was required on another part of the river the following day. In the days before the locks were hydraulic, the bow of the steamer could even be used to push open the lock gates, when travelling upstream. He recalled that there was friendly rivalry between the different crews about the condition of their boats, but they would all socialise together overnight, when moored up at the different ports of call that they operated from. The boats would occasionally race each other and he even remembered doing the journey between Oxford and Windsor in only 12 hours. Living on board, not only ensured that the boiler was starter earlier enough to achieve steam by the departure time, but it also protected the craft from vandalism. Nevertheless, sleeping on board was eventually abolished in the 1960s, because of concerns about what the crews were getting up to whilst unattended. Indeed, they were largely young bachelors, but once someone got married, that was often the end of their career, as there was pressure on them to live on land. The conversion of the craft from steam to diesel also affected the staff members, as steam engineers were no longer needed. Although this change made the craft noisier and the aesthetic appearance of the craft was affected by the removal of the funnels, the staff did at least appreciate not having to regularly shovel large amounts of coal onto the boat, which was a slow and dirty business. The first boat Bill drove was the Leander, a small launch that was based at Windsor. Unlike the larger craft, there was no crew’s quarters on board, so he had to take lodging ashore. The skippers slowly graduated onto larger craft, and when Bill was in charge of the Streatley, for a time he had his brother, Bryan, crewing for him. In the early years of his services, the steamers benefitted from being given preferential treatment at the locks, but once this system was stopped, he remembered that it wreaked havoc with the timetable. Indeed, the increased traffic on the river in the 1970s eventually forced Salters’ to discontinue their long-distance service between Oxford and Kingston altogether. 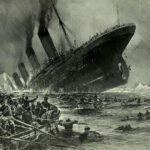 The safety record of the boats was very good, but Bill recalled that there were some serious accidents. On one occasion a passenger drowned after trying to jump from one boat to another in Boulter’s Lock. The worst accident in the firm’s history came in 1961, when two of his colleagues died on the Reading, after a primus stove, used for making tea, exploded in the saloon. This was a day that he would always remember, as he was taking the actor Peter Sellers on a trip, when a lockkeeper broke the news to him. There were inevitably many minor incidents, although it was a testament to his skill as a skipper that he was never responsible for a bad accident. Indeed, he was often trusted to move craft when the conditions on the waterway were more difficult, such as when it was flowing fast. The crews also had to deal with other types of challenging situation, such as when the behaviour of passengers became more raucous. One of his most vivid memories was of a large group of policemen going for a swim during a private party. Many of the participants also enjoyed a singalong, but on one occasion a group consigned the piano on the front deck to a watery grave, by tipping it overboard. Over the course of his career, Bill witnessed many changes, including seeing the Salters’ fleet contract from its heyday in the 1950s to its more modest size today. Indeed, it was only fitting that when the company reached its 150th anniversary (in 2008), the milestone was recorded in the local newspaper through his life. In the interview, he reflected that he had loved ‘almost every minute’ of the job, as it offered a wonderful escape from the pressures of the outside world. He was simply unable to imagine another vocation that would have offered him the same level of enjoyment, satisfaction and freedom. His devotion and love for the river remained undiminished to the end, as he still worked part-time at the firm’s slipway right up until the end of his life. His attitude was summed up a few years earlier, when he pointed out that being on the boats was for him ‘the best thing since sliced bread. Couldn’t get enough of it…still can’t’. He was held in great esteem by his colleagues and there were at least two previous attempts to nominate him for different awards, in recognition of his contribution to the waterway. 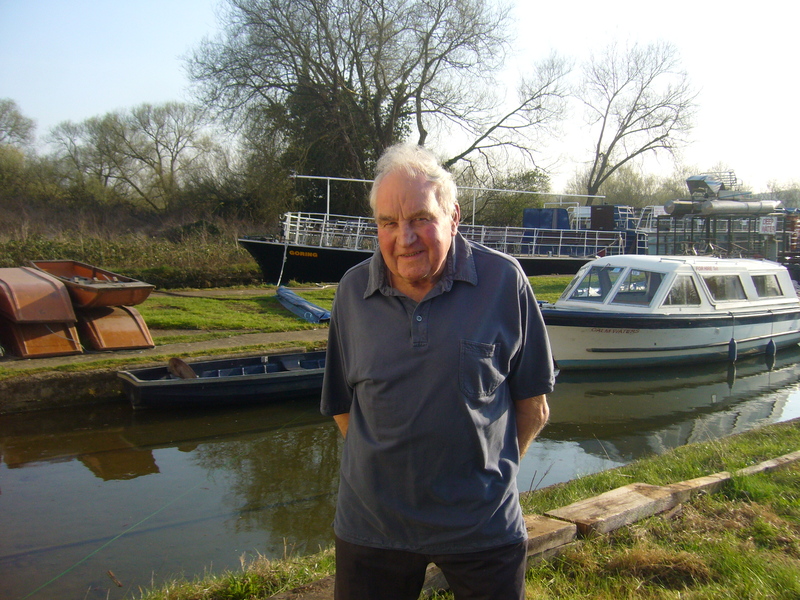 His passing is a great loss to the river, but, ultimately, his legacy will live on in the form of the many boats that he kept running throughout the decades, which will continue to provide enjoyment for the thousands of visitors who travel on or by the Thames each year.